Despite not paying for play, @FourteenGolf wedges are bucking the tour trend. For the better part of the last decade, every meaningful tour equipment count has been bought and sold twice before Thursday. It’s simple. Large OEMs want to claim status as the “#1 __________________ used on tour” as a means to both legitimize the product and provide ample material for advertisements, which in turn are designed to encourage consumers to buy said product. The inherent problem is (beyond the obvious qualifier – if products didn’t perform tour players wouldn’t bag them) that if validation is a function of which OEM writes the largest checks, it substantiates nothing in terms of performance. Or more aptly – it corroborates the product is on par with similar products, and little else. Because players know every club is a potential revenue source, it’s a rare day to find clubs tour pros choose to bag in the absence of consideration – aka cash. But when they do, there’s a story. Fourteen Golf doesn’t pay players to use its equipment (wedges primarily). So when professionals choose Fourteen, it’s entirely by choice and only because the wedges allow that particular player to perform better. But it’s not a zero-sum game. There’s an opportunity cost to the tune of $50,000, which is the typical amount a mid-level PGA Tour player gives up by going with Fourteen instead of Vokey, Callaway, TaylorMade, etc.. This reality encapsulates the bitter and slanted playing field perpetually tilted toward the OEMs with the deepest pockets. 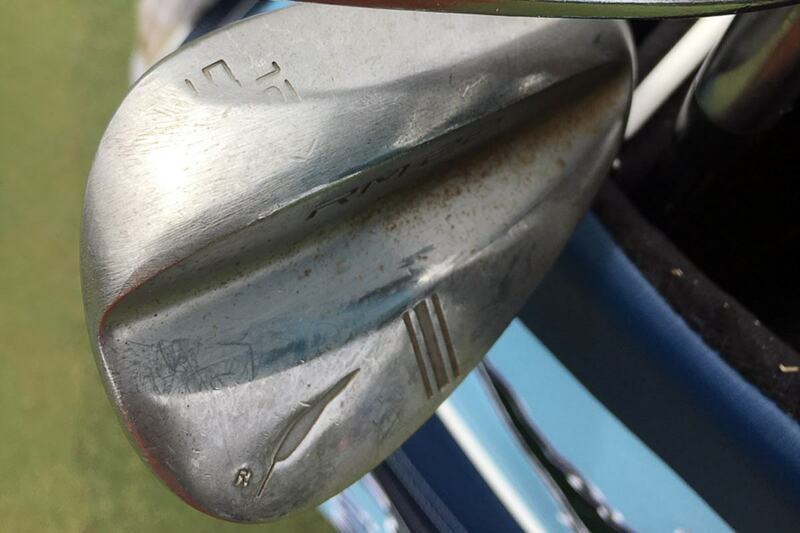 Case in point – Kevin Kisner gave Fourteen some nice press during his deep run at the PGA Championship in August where he used the Fourteen RM-22 lob wedge in place of his Callaway Mack Daddy 58°. Simply, Callaway doesn’t pay Kisner to play Fourteen wedges, so Fourteen got curb-kicked. 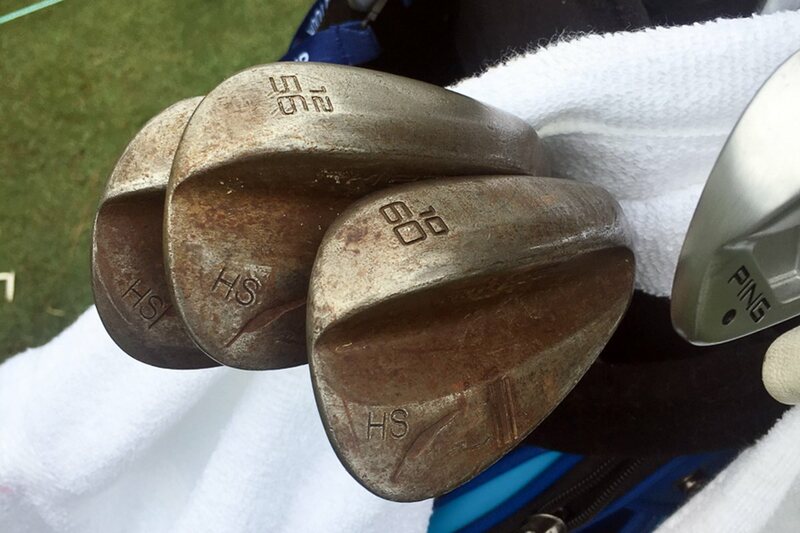 There are several other notable players who used Fourteen wedges scratching it out on the Web.com tour, but when signed by a major OEM upon making it to the big show, the house (and money) won again. It’s like a bastardized version of Groundhog Day (and far less funny to boot). For smaller OEMs with fewer resources, the equipment can’t be as good. It has to be significantly better by a factor equal to or greater than what another company is willing to pay. Titleist has over two-hundred “brand ambassadors” on worldwide professional tours, but limited resources dictate only a small number of staffers can receive the Jordan Speith-level treatment. Conversely, Fourteen feels it can give every player this elite level of service and individual attention. The result is equipment (hopefully) more tailored to the individual and thus, better performance. 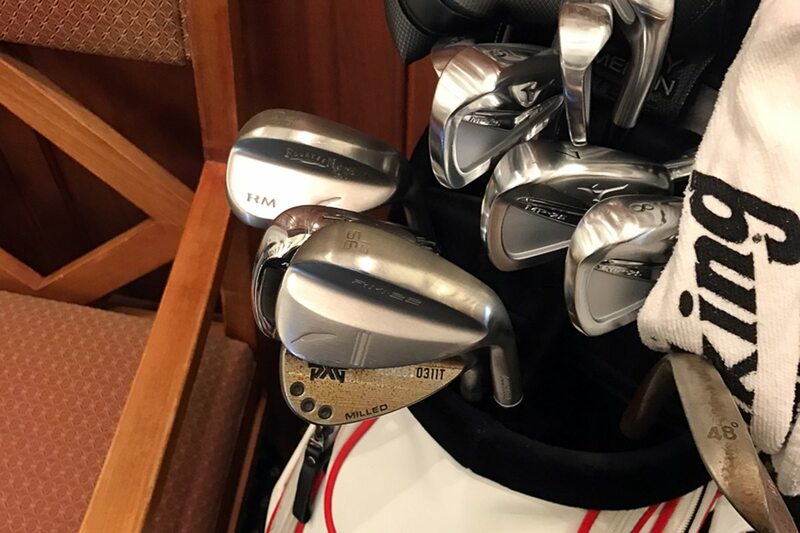 Over time, performance breeds loyalty and players competing for purses routinely exceeding $7 million are rightfully reluctant to change if certain equipment gives them a better chance to play well. Consider the PGA tour season just completed. The top 50 players all earned at least $2 million in prize money. The top 100 earned at least $1 million. Yet, the difference in scoring average between Sung Kang (50th) and David Lingmerth (100th) was .26 shots per round. It’s an isolated example, but it’s not unfair to suggest a single shot in a tournament can easily be worth a million dollars over the course of a single season. In that context, giving up $50,000 to play a wedge one feels can save them a shot or two over the course of four days is entirely prudent. For the season just completed, Fourteen had four top 5 finishes on the PGA Tour and five top 5 finishes on the Web.com tour. It had two top 10 finishes in majors, one LPGA win and two top 5 finishes on the LPGA Tour. It also has two players with PGA status for the current season, and not a single player is paid a dime to use the equipment. Additionally, over the last four seasons, Fourteen posted wins on both the PGA and LPGA tours as well as multiple top 10 finishes on PGA, Web.com and LPGA tours. Again, all done without paying so much as one red cent to any player. Considering the guaranteed money any of these players could have easily claimed, it’s clear some professional golfers feel Fourteen produces a demonstrably better wedge than any large OEM. In the 1990s and early 2000s, Mizuno irons dominated PGA Tour iron counts. Back then, usage was primarily a function of performance, not tee up money. The cult following Mizuno established as a result was both organic and entirely authentic. The next decade plus saw the pendulum swing in the opposite direction. The OEMs with the deepest pockets focused on getting products into the hands of those whom it could most efficiently leverage to expose the brand on the largest platform possible – the PGA Tour. The net result was a cluster of equipment releases and an arms race of sorts which oversaturated the market with equipment often long on hype and short on performance improvements. Now the paradigm may be shifting again. Nike exited the hardgoods business in August 2016, leaving an entire tour staff opportunity to shop the market. Large OEMs, notably TaylorMade, which was recently purchased by private equity firm, KPS Capital Partners, is expected to cut back (significantly) on tour spend, creating more free agent golfers. 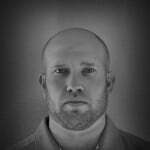 Each example may seem insignificant the same way a drop of food-coloring won’t change the color of the ocean, but consider the recent series of tweets from former PXG staffer, Chris Kirk. Without an existing contract, he went with TaylorMade and Ping woods, Mizuno irons, Vokey wedges and a custom Scotty Cameron putter. It could be nothing, or it could be a harbinger of things to come. Either way, when performance speaks louder than marketing or dollar signs, it deserves to be recognized. Fourteen’s RM-22 is more than a wedge– it serves as evidence and a placeholder of what may become a larger conversation as OEMs look for ways to reduce costs – one of which could be increased latitude in equipment contracts. Should this occur, expect to see Fourteen wedges in a few more starting lineups. Heck, it was one good round away from bagging a major championship. Very enlightening post. Thanks for writing this. Given the changes in the equipment landscape, I hope we’ll be seeing more small companies get love from free agents. Excellent journalism. A refreshing change as it is both informative & honest! Fourteen wedges are so underappreciated. I have RM-21 50°+54° with a DJ-22 58°. Like one review of Fourteen wedges said is that there reverse muscle design is the Secret Sauce. Fourteen wedges for life! Great read . A eye opener man it’s true money talks lol. But do you really think that 50 grand to a million air means that much? I hope that the best product would be played that’s what we are led to believe. Or is it false advertising sure hope not but I guess I’m pretty nieve. MGS please keep up the good reporting. Money always talks on tour. The golf ball is probably the closest thing on tour that is what’s best for each player’s game. Everything else is Money Talks And Bull***t Talks. 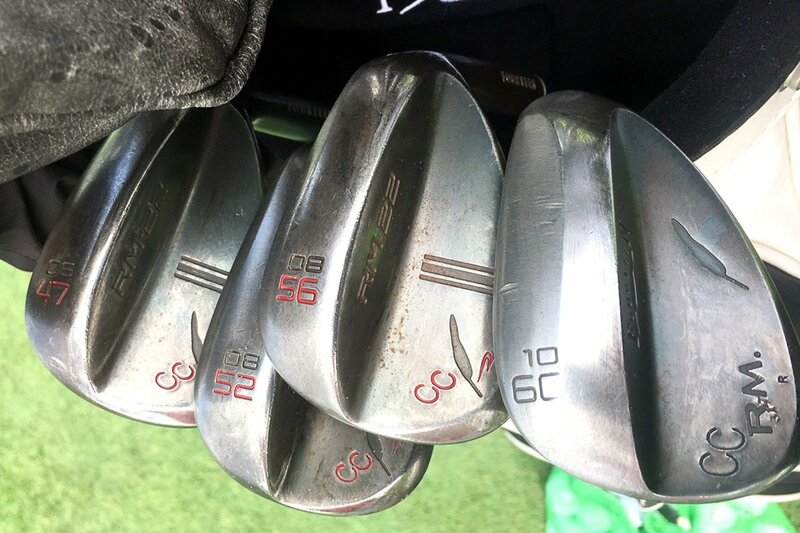 At $290 each, it’s hard to imagine these wedges gaining traction with the general public golfer. I could buy 2 Vokey’s for this price. The performance difference, if any, does not warrant the extra cost imo. You can get them $100-$175 brand new which is a little more than the cast wedges from most of the big OEM’s and Fourteen wedges are forged. I’m using Fourteen RM-22, 52 & 56. They are fantastic with great feeling and control. with all the ability to customize clubs don’t you think Callaway, Taylormade, Volky etc. would bend over backwards to customize their club to play like a contracted player wants, You think if Tiger Woods liked a certain iron head during his hay day Nike did not try and customize an iron with their name on it for him that played like he wanted, answer OF COURSE. They can send me some wedges & they don’t have to pay me one cent either. Credence must be given to the fact fourteen is garnering the kind of attention it is receiving at the highest caliber of professional golf. 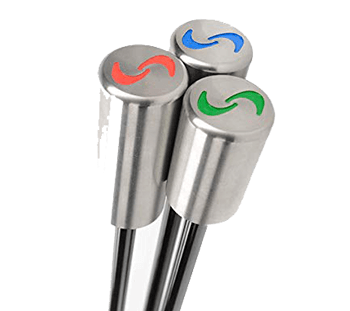 It is indicative, if nothing else, that high quality products exist even outside of the notable pillars of major golf equipment manufacturers. I currently switched a couple wedges over from the vokeys I’ve played forever to a couple fourteen wedges. Just so pure. I hit good shots with the vokeys but I got the same or better with the fourteens, except much better feel, very soft buttery feel when struck right. Just a different level of craftsmanship than the name brands we have grown up trusting. They seem to be headed towards the top of the leaderboard in the wedge game. I’m on board. I am probably speaking out of school here, but my sense is that a massive tour presence made sense during the fevered times of buying the newest and greatest-super-ultra-mega driver. You wanted that product on the tour just so people at home could see it and go out and buy it. Consumers have become a little more savvy and the portion of consumers who buy new on a frequent schedule has diminished. A large tour presence is no longer the best way to sell clubs in the current market. Fourteen makes beautiful clubs too! Really enjoyed the post.